Databases can be slow and cumbersome. Redis offers database, cache, and message broker all rolled into one at high speed. With a variety of storage types and the ability to persist to disk, it's what all the cool kids use to make their lives easier. While DragToCode doesn't exercise every option available in Redis, you can command your instance with our blocks. Amazon Simple Queue Service (SQS) is a message queuing service for reliably communicating at any scale. SQS makes it simple and cost-effective to decouple and coordinate the components of a cloud application. Using SQS, you can send, store, and receive messages between software components at any volume, without losing messages or requiring other services to be always available. 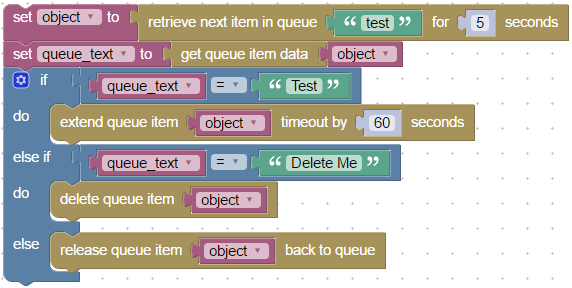 With DragToCode, you can seamlessly queue, dequeue, and delete messages with simple blocks. Love them or hate them, text messages are a part of life, and your implementation may need to contact customers, vendors, or staff at any time of the day or night. Zang provides a frictionless way to send your messages at some of the lowest cost in the industry. You can both send and receive messages in DragToCode with little effort, and we had fun connecting them. Creating your own database, connectivity, and maintenance can be a hassle. We surveyed the internet for the clearest, cleanest solution, and RestDB.io just gets it done. Model your information quickly. The data management application, schema and REST API are instantly available. With RestDB, you can collaborate and work with data in a workspace on your desktop, laptop or smartphone, quickly and securely accessing your data. Email, video and other forms of communication are important, but nothing is as ubiquitous as voice devices. Create voice menus that enable a caller to navigate your directory and find information by simply calling into your main number. The ability to recognize DTMF digits means that you can enable simple, self service for customers. Twilio provides a smooth and inexpensive way to do just that. Love them or hate them, text messages are a part of life, and your implementation may need to contact customers, vendors, or staff at any time of the day or night. Twilio provides a frictionless way to send your messages at some of the lowest cost in the industry. 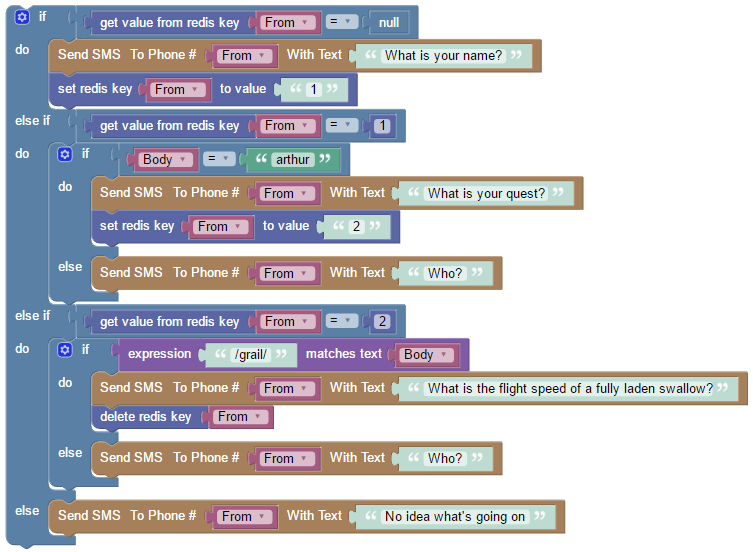 You can both send and receive messages in DragToCode with little effort, and we had fun connecting them.